Get your copy of the PSA End-User Survey Report from SPI Research. The 46 page PSA End-User Survey report provides in-depth analysis of key reasons to purchase PSA and the ROI impact of improvements in key metrics such as billable utilization and project margin.  This is the most important PSA report ever published! It is a must have for all service-oriented organizations considering a Professional Services Automation solution! The growth engine of the world’s economy has shifted from manufacturing to project-based, people-centric services businesses. These businesses rely on Professional Services Automation (PSA) solutions to automate core business processes such as quote-to-cash, resource management, project management, time capture and billing. PSA provides the real-time visibility necessary to improve productivity and profit. 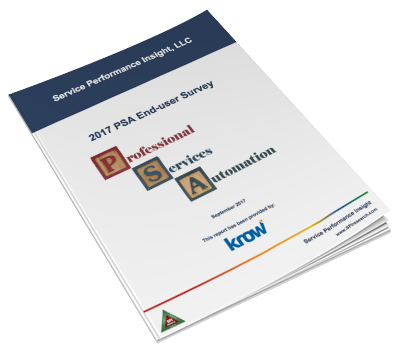 During the second quarter of 2017, SPI Research conducted a Professional Services Automation (PSA) end-user survey. This examination of 68 billable organizations asked both quantitative and qualitative questions regarding why firms selected PSA, which attributes were most important, and how buyers perceived their benefits. Most importantly, this study looked at both pre- and post-PSA deployment metrics and ROI. The 46 page PSA End-User Survey report provides in-depth analysis of key reasons to purchase PSA and the ROI impact of improvements in key metrics such as billable utilization and project margin. Click here to review the table of contents and purchase the report.